The charity is inviting women of all ages, shapes and sizes to choose their event - Race for Life 5k 10k or Pretty Muddy - and pledge to take part on 22nd - 23rd July here at Westpoint Exeter. There’s no better time for mums and daughters across South Devon to pull on their trainers, limber up and join like-minded women committed to the cause. Money raised will help Cancer Research UK scientists find new ways to treat cancer and save more lives. Ruth Chamings, Cancer Research UK’s Exeter Event Manager, said: “We are urging mums and daughters in Exeter to make this Mother’s Day extra special by signing up to Race for Life. It’s the perfect opportunity to spend quality time together, create precious memories and join like-minded women determined to beat cancer sooner. 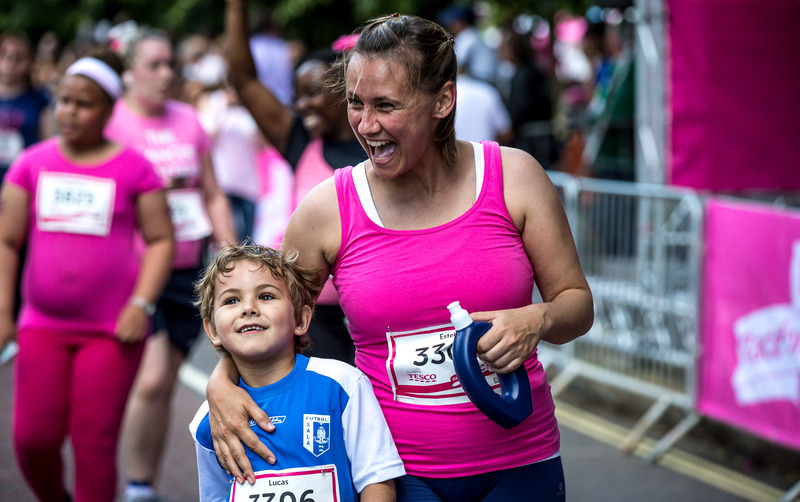 “Race for Life events are non-competitive and participants can choose to walk, jog or run around the course. Whether they’re planning a 5k amble with friends, a 10k sprint or a mud-splattered race around Pretty Muddy, every step participants take together will help to bring forward the day when all cancers are cured. One in two people in the UK will be diagnosed with cancer at some stage in their lives, but the good news is more people are surviving the disease now than ever before. Survival rates have doubled since the early 1970s and Cancer Research UK’s work has been at the heart of that progress. Cancer Research UK’s Race for Life, in partnership with Tesco, is an inspiring women-only series of 5k, 10k, Pretty Muddy, Marathon and Hiking events which raise millions of pounds every year to help beat cancer sooner by funding life-saving research. Ruth added: “We’re calling on daughters in Exeter to give an extra special gift this Mother’s Day and pledge to take part in Race for Life with their mum.